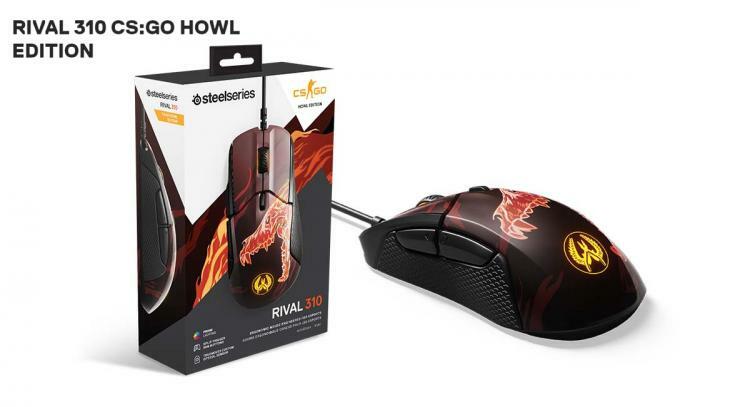 SteelSeries have been producing exclusive CS:GO products and today SteelSeries presents the new Rival 310 Howl Edition mouse and QcK+ Limited Howl Edition mousepad. Both feature the CS:GO Howl design. The SteelSeries Rival 310 is the perfect mouse for first-player shooter titles with its 12000 CPI TrueMove3 sensor, built for true 1-to-1 tracking offerings pixel-perfect accuracy without jitter, interpolation, and latency. The Rival 310 also features an ergonomic design that’s built for right-handed users regardless of their grip type. It comes with multi-colour illumination through its 2 lighting zones which can be customized using the SteelSeries Engine 3 software. The CS:GO Howl design is featured in the top casing of the mouse. The QcK+ series mousepads have a micro-woven cloth surface that’s perfect for FPS gaming with its mouse tracking accuracy optimization that works on both optical and laser mouse sensors. 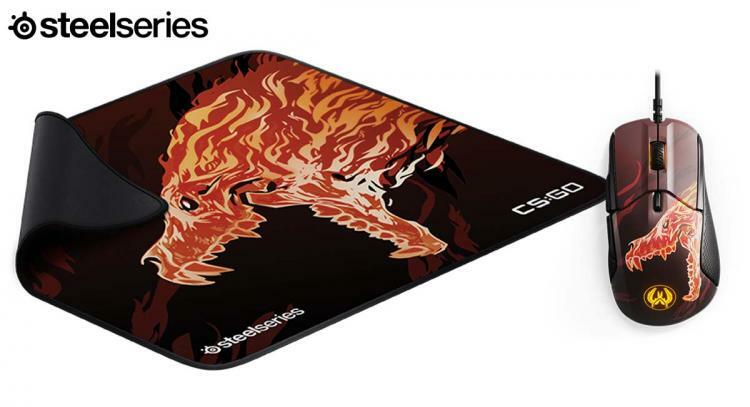 It has a non-slip rubber base that will ensure the mousepad will stay in place even in intense battles. It's never-fray stitching along the edges ensures that mousepad will never peel or fray. The QcK+ Limited CS:GO Howl Edition comes in a dimension of 450x400x3mm. The SteelSeries CS:GO Howl edition gaming peripherals are now available at SteelSeries.com. 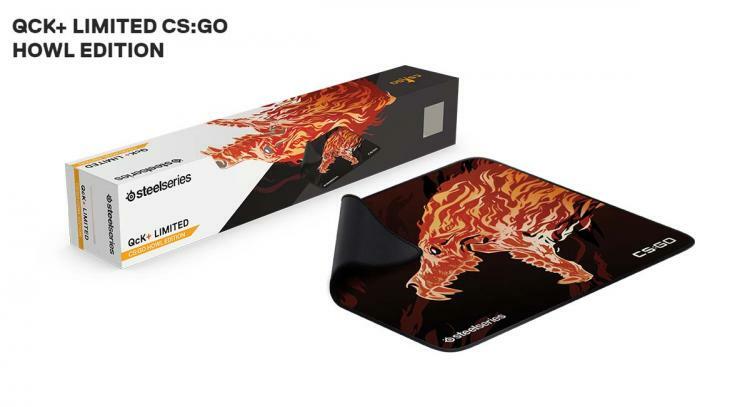 The SteelSeries Rival 310 CS:GO Howl Edition gaming mouse has an MSRP of $79.99USD, the SteelSeries QcK+ Limited CS:GO Howl Edition mousepad has an MSRP of $34.99USD.